To claim that the Easybeats, who first incarnated in Sydney in 1964, were one of very first realrock and roll bands in the Southern hemisphere is a statement that would be hard to refute. What was happening in the old world, specifically in the wake of The Beatles, who caused the phenomenon that became known as the “British Invasion”, had an immense impact on the original members as all of their familiar had European heritage and they channeled their influenced to create an ailment called “Easyfever”, which was the Aussie equivalent to “Beatlemania”. Fast waaaaay forward and enter Empire Touring, who made it their mission to bring you music from The Easybeats and Steve Wright, performed by Australia’s rock n roll royalty: Chris Cheney, Phil Jamieson, Kram, Tex Perkins & Tim Rogers. The musical emissions of The Easybeats have never been not relevant, with current artists still deliberately taking a page or two off the Easybeats’ book and aficionados never having wavered. To say that The Easybeats’ legacy looms large is an understatement per se and tonight’s show was well executed and curated homage to their aggression and finesse, the sexuality k that has been a template for any band that the protagonists of the evening have been involved in, which showed as they reveled in the opportunity to celebrate the tunes. 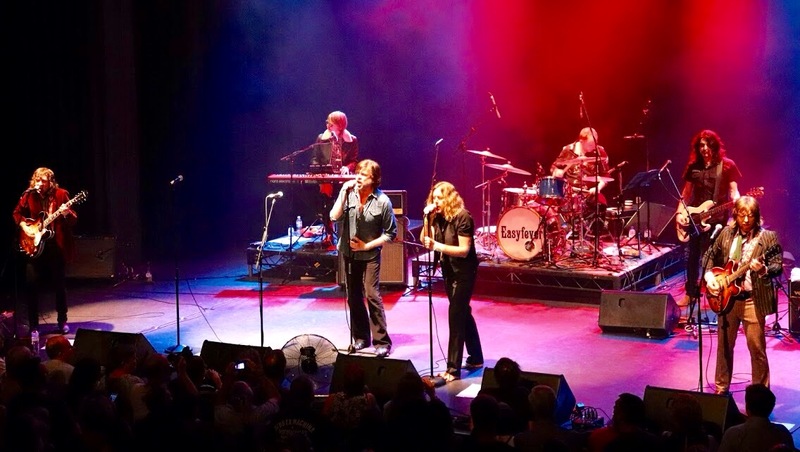 The show was backed by the extraordinary Easyfever band comprised of The Whitlams’ Jak Housden Ashley Naylor from Even, Baby Animals’ very own Dario Bortolina, Dave Hibbard, known from his collaborations withJoe Bonamass, Divinyls’ Clayton Doley Divinyls and headed by The Living End himself Chris Cheney, Phil Jamieson who will also head Green Day’s American Idiot musical down under, Tim Rogers of You Am I, Spiderbait’s Kram the ever entertaining Tex Perkins, which culminated in a multi-headed supergroup par excellence first international rock band. Each of the frontmen brought their unique swagger to the stage and magical moments were created with permutations of duets with the total of the evening becoming even bigger than the sum of the individual constituents would have you believe.